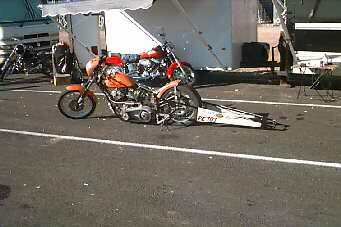 The following are pictures of some of the Drag Bikes and other outstanding bikes at the fest. 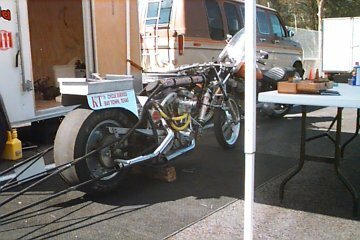 This is a picture of one of the outstanding Drag Bikes that had the opportunity to break in the brand new NHRA approved Drag Strip this weekend. 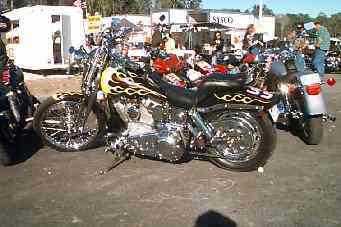 How about this fine looking Sportster, it runs out of Blew By U Racing and owned by Chopper Pete. 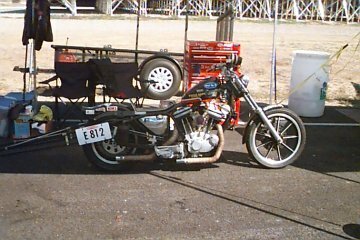 This is another fine Race Bike at the fest. Nice looking EVO, see close up next picture. 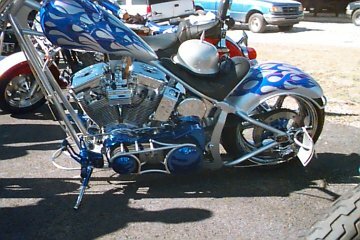 Left side close up of above bike. 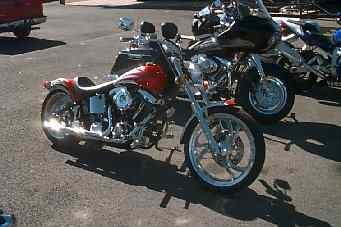 Not a lot to say, great looking bike.. 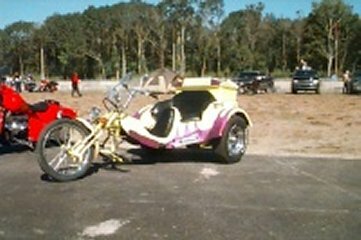 Yes, there was a couple of trikes at the fest. Great classic look, don't ya think? here is a picture of Joe blowing away another challenger. Joe had A good day he made it all the way to the finals, he also contributed some of the photographs of the fest. Sorry guys, believe it or not I have no usable babe pictures from the fest. If any of you guys out there have any pictures of the Bikini Contest or the Pudding Wrestling, please send them along and I will post them on my site. 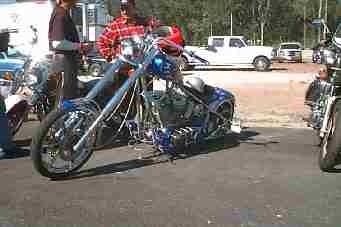 Ok guys here's your chance, if you have pictures of bikes, trikes, babes etc. and would like to see them on the web, send them to me via email and I will post them (at my discretion) on this website.